It has been little more than a year since French cosmetics firm NARS’ controversial decision to sell its make-up in China caused a major rift in the global cruelty-free beauty scene. Fans of the brand and animal-lovers may soon be able to make peace. China is mooting a change in its policy of testing cosmetics on animals which could pave the way for cruelty-free brands to tap into the country’s US$33 billion cosmetics market. China’s National Institute for Food and Drug Control (NIFDC) recently issued a statement about its commitment to overhauling testing in the cosmetics industry and exploring viable alternatives to animal tests that are commonly used in countries where the practice is banned. The NIFDC emphasised that research, development, and the standardisation of testing methods that don’t use animals are its top priorities. Animal-protection organisations have been working closely with Chinese stakeholders to replace animal testing – which, for cosmetics alone, requires the use of an estimated 500,000 animals per year around the world – with more modern and predictive technologies. Notable progress has been made in recent months. Troy Seidle, vice-president of research and toxicology for Humane Society International, said that the recent NIFDC statement, published on its official WeChat account last week, is particularly promising. China’s cosmetics testing laws require all foreign cosmetics products to be tested on animals before they can be sold in the country. In 2014, China began to soften its stance, allowing domestic cosmetic brands to sell products not for “special use” (make-up, skincare, and fragrances) without the need to test them on animals, but only so long as they adhered to strict standards and a list of pre-approved and tested ingredients. This also applied to foreign cosmetics brand that chose to manufacture products in China for sale locally. However, the 2014 rule change was not enough to convince organisations campaigning for cruelty-free cosmetics that selling in China was acceptable. They objected because companies that manufacture in China still face a risk that animals could be harmed via post-market testing – under which brands can have products taken off the shelves and tested on animals. Source: South China Morning Post. 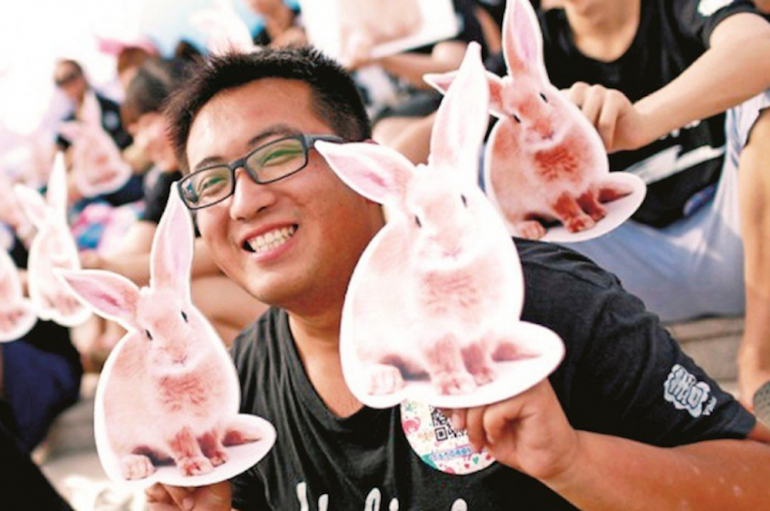 An event organised by the brand Lush in China to support a campaign against animal testing. In 2017, Nudestix was taken off the cruelty-free brands list of animal welfare website Cruelty-Free Kitty after the UK brand announced it would be producing its products domestically and selling in China. 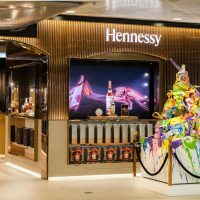 Mette Knudsen, CEO of KnudsenCRC, a Shanghai-based consultancy that helps companies seeking to sell in China, wanted to help brands understand just how serious the risk was of cosmetics companies encountering these post-market tests, as they remain the “biggest barrier” to receiving cruelty-free certification. Usually, the post-market tests take place in response to a consumer complaint, though research commissioned by consultants Reach24H found that some Chinese municipal governments would sometimes implement mandatory post-market testing. Through research and talks with Chinese officials, laboratories, and UK charity Cruelty-Free International, KnudsenCRC determined that post-market testing rarely involved animals. This is because animal testing is expensive – it costs five to 10 times more than other safety assessments – and also time-consuming, taking about three months to complete. “If you have a product with a safety risk on the shelves, you obviously don’t have three months to see if it poses a safety risk or not; you have to react immediately,” Knudsen said. KnudsenCRC is teaming up with Cruelty-Free International on a pilot project designed to help cosmetics brands ensure no animal testing has occurred throughout their supply chain, and is working closely with authorities in Shanghai to eliminate the risk of post-market tests. “Although we have a lot of assurance from the Shanghai authorities,” Knudsen says, “it’s important to have the pilot because we need to be able to say this is a route we can recommend.” Knudsen says that many brands have already expressed interest and sent in applications for the pilot. Five brands will take part in the first stage of the project, due for completion in early spring 2019. It could take years to implement a complete shift away from cosmetics testing using animals. But some milestones towards ending the practice have already been attained. The Institute for In Vitro Sciences, a globally recognised organisation working to advance non-animal testing methods in China, announced this year that a lab it was working with in Hangzhou had officially adopted a test on artificial skin. The NIFDC has also adopted alternative tests for skin corrosion and eye irritation, as well as phytotoxicity (testing on plants), with more alternative methods to be introduced in the near future. There is pressure to move quickly. The 28-nation European Union became the first region to ban cosmetic testing on animals in 2013, prompting other countries to follow suit; and the California State Assembly has just passed a bill that will make it illegal for make-up or personal care brands tested on animals, or including ingredients that have been tested on animals, to be sold in the state. If the California governor signs the bill, the law could go into effect as soon as 2020. China faces a juggling act on consumer safety. Given numerous food and drug scandals in recent years, safety clearly remains the government’s top priority. It’s not just the government that is showing movement on the matter. A new generation of Chinese consumers is demanding higher levels of social responsibility from brands – the same consumers who lavish cash on their pets as if they were their children. Animal-rights organisations and beauty brands such as Lush have taken the opportunity to educate consumers about cruelty-free practices to inspire more ethical choices. Humane Society International provided funding to the Dalian Vshine Animal Protection Association in China to carry out an extensive public awareness campaign, as part of the organisation’s global #BeCrueltyFree effort. 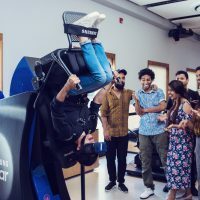 Its initiatives included a lecture tour of 50 universities in 34 provinces, awareness videos on animal testing and alternative technologies screened at shopping centres. While there are no official channels for purchasing cruelty-free products in China, such brands already have a presence on direct-to-consumer commerce platforms like Taobao and WeChat. 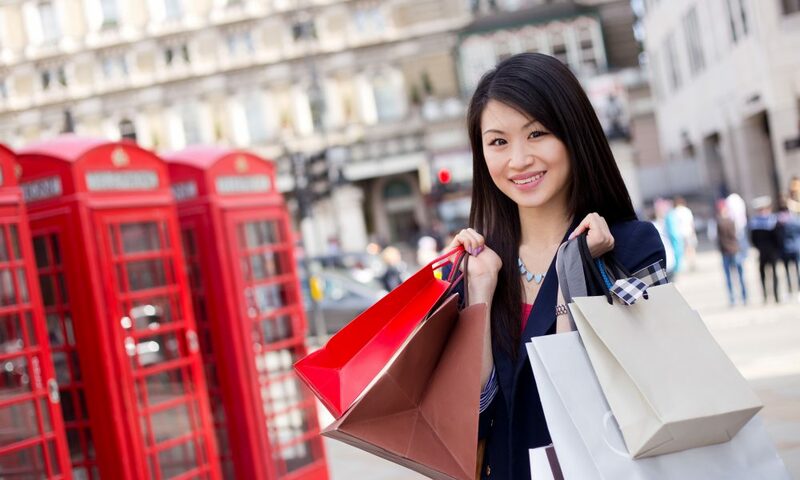 There’s also little doubt that there are conscious Chinese shoppers seeking out animal-friendly beauty products through travel abroad as they become more educated about their options.